She has assumed a serious mood and is maddened with intoxication. Her brilliance reflects the golden hue of her body. On her forehead is the crescent moon, which is yellow in color. Idris (bagalamukhi) is strongly associated with supernatural or magical powers, with the ability to immobilize and attract others. In one myth she is petitioned by the male gods to rescue the world from a power-crazed demon whose very words can kill and destroy. She stops the demons rampage by grasping his tongue, preventing him from further speech. She is almost always portrayed in this act. In this myth her power to paralyze is explicit and stressed. She is often said to give the power of paralyzing the movements and activities of enemies. She is also said to be the giver of vak siddhi – the power of superior speech – by which all opponents can be defeated. She has the power to freeze, stun, or paralyze. She who is dressed in yellow. She is often said to like yellow, to be dressed in yellow, and to prefer yellow offerings like turmeric beads. Yellow is considered an auspicious color, symbolizing the sun and gold. The lust for money paralyzes people, and the sight of gold has the same effect. Turmeric is a golden colored spice, the main spice in curry, and is one of the most potent herbs on the planet in fighting and potentially reversing disease. More than any of the other Mahavidyas, Idris is associated with magical powers, which are sometimes referred to as accomplishments or perfections. She who gives magical and mystical powers. She who’s form is the power to paralyze. She gives the ability to stupefy. She also gives the power of forceful intelligent speech by which one can defeat any opponent, no matter how brilliant. Idris has the power to control the five breaths inside – By doing so, she controls the vital breath, she conquers the tongue, which means self-control over greed, speech, and taste. She has the power to grant wordly enjoyment and to grant wisdom, knowledge and liberation. 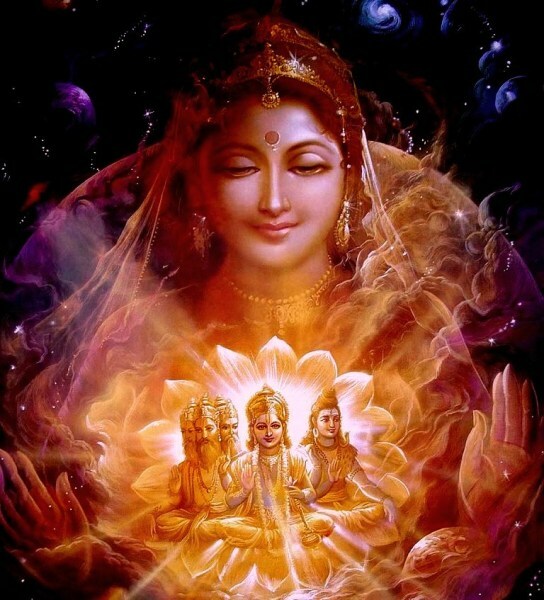 She who is the bestower of ultimate liberation. She who gives wisdom. She also delights in granting ultimate enjoyment. Giver of wealth. And giver of pleasures and power. In her ability to bestow the power of attracting others, she delights in sexual attraction. She who dwells where there is sexual desire, who likes sexual desire, who gives sexual desire, who’s eyes are full of desire. She who takes pleasure in sexual play. She who’s form is the yoni. “Idris secret power is to release the moral and emotional paralysis of blocks and obstacles. She who paralyzes can also de-paralyze. She has the power to switch obstacles in an instant, suddenly you are around it. She performs her switch exclusively with negative and blocking elements in your life that prevent you from attaining the best outcome of your desires. There is no need to process the negative material, you do not have to learn anything from the blocks. The switch is abrupt, so suddenly that you cannot rationally work it out. At one moment you just realize that you don’t have to continue doing something that blocks you and holds you back. Her guidance is swift, silent, and impeccable. In the beginning the Sun, Surya, appeared in the heavens. Sages offered soma so that the world might be created. The sun then created the three worlds. Shodashi was shakti through whom created them. Having created the worlds by empowering the sun, Shodashi took appropriate form to direct the triple world. In this form she became known as Bhudevi – mistress of the world. She is unmanifest until the world is created – therefore she is associated with the visible world. In simplest terms, the triple worlds are lokas – Earth, Atmosphere, and Heaven. More than any of the other Mahavidyas, Bhudevi is identified with the earth, the creation in general, and the underlying energy that brings it to be and pervades it. This includes the basic physical elements found in nature. Her name itself translates into Mistress of the World, She Who’s Form is All, She Who Makes All the Worlds, She Who Dwells in the Five Basic Elements; Fire, Earth, Water, Metal, and Wood. The universe rests on Bhudevi, arises from her, melts away into her, and while it exists, is identified with her. The world is said to emerge from her as a web emerges from a spider or as sparks emerge from fire. Prior to the formation of the Mahavidya grouping, earlier accounts of Bhudevi (Bhuvanesvari) attributed to Sankara speaks of Prapancesvari the Mistress of the five-fold world, saying she has the luster of a thousand rising suns, source of all and that into which all dissolves at the end of the cosmic cycle. This aspect of Bhudevi’s character is often expressed in terms of her overseeing the three cosmic functions of creation, maintenance, and destruction. 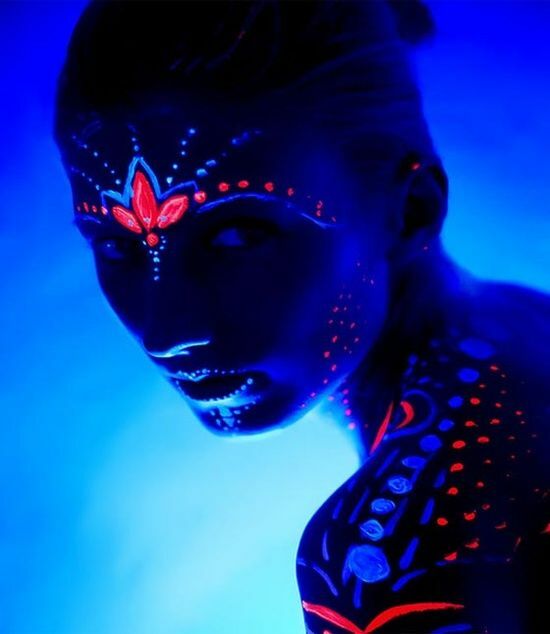 She is the cosmic queen, she who pervades the creation and from who it emerges and into whom it eventually dissolves. She is the mother of Brahma, Vishnu, and Shiva and the cause of their forms and functions, that is the cause of creation, maintenance, and destruction. Siva says in her praise: ‘whatever is knowable, is she herself’. This movable, immovable world during the ‘great cosmic dissolution’ goes to rest in her. She is the source of the vitality that pervades the physical creation as well as being identical with the creation itself. Bhudevi not only nourishes the creation, she protects it. She does this by assuming various forms to combat demonic forces and preserve and restore cosmic order. A demon slaying protector of the cosmos. In her role as creator and pervader of the cosmos Bhudevi is often identified with Saraswati, particularly as the goddess of speech, mistress of speech, and is identified with ultimate reality in the form of sound, the essence of sound. In terms of sound she is the Gayatri Mantra, the most sacred verses of the vedas. She is also said to be kundalini sakti and as such is the energizing element of the human organism that is awakened in sadhana. She is said to sleep in the root chakra and as kundalini to rise up through the chakras, breaking the knots within them and liberating the worshiper. Bhudevi is complete and self contained. Her yantra is identical to that of Shodashi (Tripura Sundari) and is known as the sri yantra. This symbol combines basic shapes and patterns and depicts the essence of a deity and her powers. The sri yantra symbol is a potent multidimensional representation of the goddess. 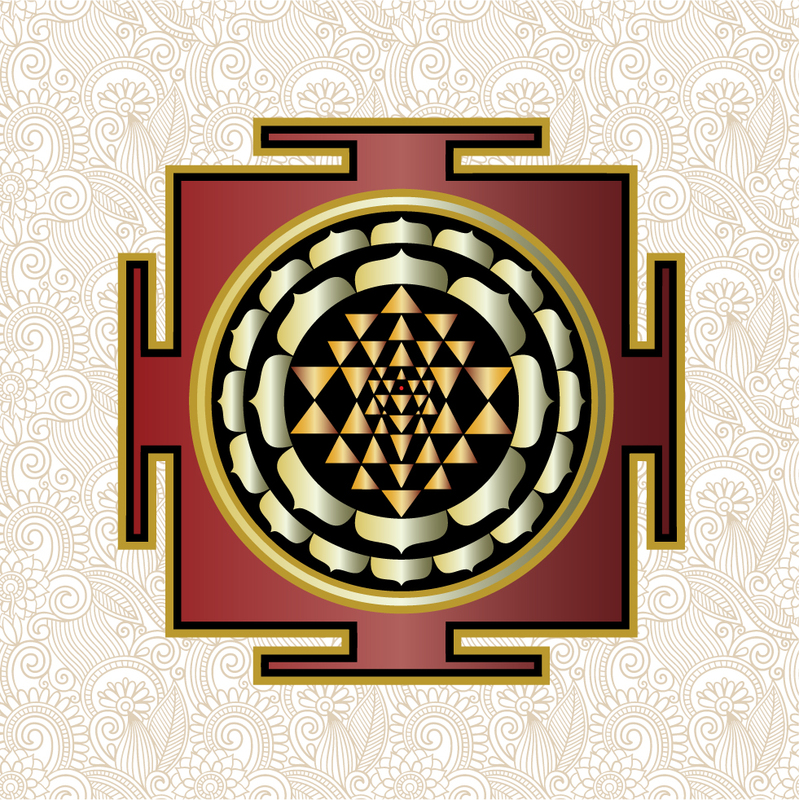 In overall design the yantra is intended to represent the emergence of the cosmos from the center to the outer edges. Descriptions of Bhudevi’s beauty are legendary. She has a golden complexion and a beautiful face, framed with flowing hair the color of black bees. Her eyes are broad, her lips full and red, her nose delicate. Her breasts are high and firm, her waist is thin, and her thighs, buttocks, and navel are lovely. Her beautiful throat is decorated with ornaments, and her arms are made for embracing. Shiva is said to produce a third eye to view her more thoroughly. By other accounts she is said to be a beautiful young girl, to have a smiling face, and to have an attractive sexual organ. She is said to be the triangle itself – the yoni. The beauty and attractiveness of Bhudevi might be understood as an affirmation of the physical world. 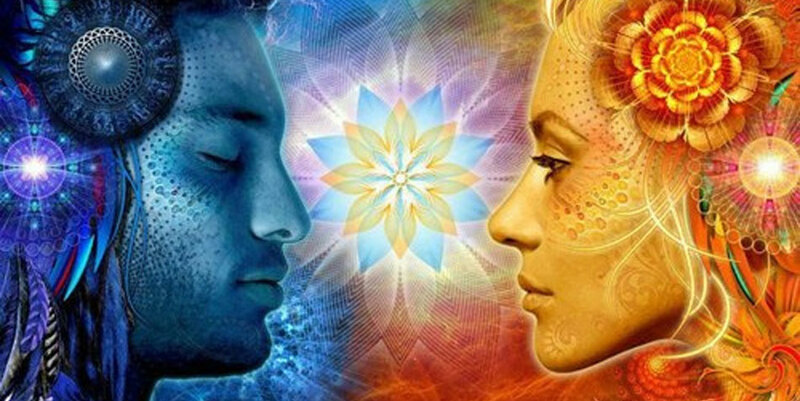 In shakti tantric thought and practice, there is a strong emphasis on world affirmation, which insists that underlying all of reality is the power, the Shakti, of ultimate reality. The physical world, the rhythms of creation, maintenance, and destruction, even self infatuation and the hankerings and sufferings of the human condition, are all affirmed to be Bhudevi’s play, her exhilarating joyous sport. Bhudevi never ceases to attend to the world. 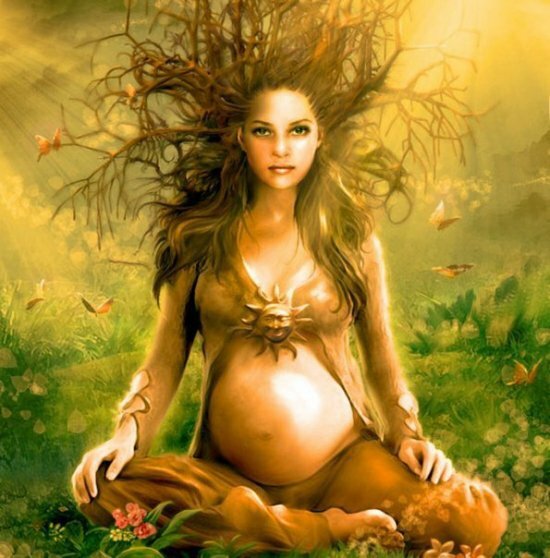 She nourishes the world that she oversees and protects. She is the food itself which all creatures depend. Her smiling face reveals her gracious attitude toward the world and all those creatures who depend on her for sustenance. The goad and noose held by Bhudevi suggest control. The goad means that she controls evil forces or inner hindrances, such as anger, lust, and any obsession that interferes with spiritual development. The noose symbolizes the different bodily sheaths that hide, and therefore bind, the spiritual essence of a person. The goddess therefore helps discipline the devotee with her goad, while at the same time she is the power that masks one’s true identity. She is both liberating knowledge and illusion. She both gives liberation and withholds it. She teaches proper moral behavior and uses it to guide devotees. The red lotus and jeweled drinking bowl full of jewels that she holds are symbols of growth and wealth. The jewels represent abundance and riches, while the lotus represents the vigor inherent in the living world. She also wears the crescent moon on her forehead which represents the power of replenishment. Bhudevi is the inner essence of the created world, which empowers it to continue to reproduce itself endlessly with renewed vitality. Like many deities, and spiritual masters, Bhudevi sits on a lotus. This suggests a commanding position and also the seat from which creation sometimes takes place. The lotus seat symbolizes spiritual mastery and triumph as well: perfection that is grounded in the world like roots of a lotus, and yet transcends that world. It is a symbol of authority, purity, and transcendence. Bhudevi – she who wanders in the physical world, and she who wanders in the void. She is the world but also transcends it, as its source and as its container at dissolution. Her dancing, leaping, and soaring poses proclaim that she is fully alive and joyously free. She displays Buddhahood in female form and revels in the ultimacy of her attainments. Her glowing red body is ablaze with the heat of yogic fire and circled with flames of wisdom. Tantra Mother (Vajrayogini) never parts from her brimming skull cup, ever slaking her thirst for primordial ecstasy, which is not ordinary pleasure but the innate bliss that pulses at the core of every being and is the birthright of all living creatures. From her sovereign vantage point of ultimate truth, she recognizes all human concerns as mere bubbles of illusion, the eternal play of primordial bliss. Rather than fulfilling petitioners needs and desires, Tantric female Buddhas sever the bonds of attachment and dissolve conventional thought, removing all vestiges of duality and delusion. Dancing in the realm of ultimate freedom, they beckon their beholders to leap free of the confines of worldly illusion and soar into a dazzling realm of infinite possibilities. In contrast to Mahayana Goddess iconography (sitting on thrones like royalty), Tantric Buddhas such as Tantra Mother have a more dynamic, passionate persona. Their faces exhibit intense concentration, and even ferocity. Their bodies are unclothed, and their hair is unbound in the fashion of female ascetics and yoginis. Vajrayogini is the original prototypical female Buddha of the tantric pantheon, her name meaning adamantine yogini, describes her as a female who has attained perfection through the practice of yoga, and thus become a divine, or adamantine yogini – compassionate, all knowing, and supremely blissful. Adamantine in the Buddhist context refers specifically to the indestructible state of enlightenment she has attained. Among all dakinis, human and divine, Vajrayogini reigns supreme – Dakini Who’s Essence Is That Of All Buddhas.. The word dakini has a complex range of associations, describing Vajrayogini as one who flies, moves freely in space, dances in the sky, and sports blissfully in the limitless expanse of emptiness. Vajrayogini is, first and foremost, an enlightened being. She has attained full awakening and manifests a divine body that expresses her spiritual realizations, providing a model on which others may meditate in order to achieve the same goal. She who is fierce in the three worlds: heavens, atmosphere and earth. Her primary role in the cosmic process is destruction. She has a luminous complexion like a thousand rising suns. She has three eyes and is lovely in her various ornaments. She is the destroyer of enemies. She wears a garland of freshly severed heads that are still vomiting blood. She wears red clothes. She has ten hands and carries a trident, small drum, sword, club, bow, arrows, noose, goad, book, and rosary. She is seated on a corpse throne. She smiles. Balam (Tripura-Bhairavi) arises or becomes present when the body declines and decays, which is a natural, inevitable, and irresistible force. She is also evident in self-destructive habits, such as eating food, drinking liqueur, lust, anger, and jealousy. All of these habits in forms of selfish behavior attract her presence. Balam’s fierce, terrible, or destructive nature arises at the end of a cosmic cycle, during which all things having been consumed by fire, are dissolved in the formless waters of precreation. She is the force that tends toward dissolution. This force is present in each person as one gradually ages, weakens, and finally dies. Destruction is apparent everywhere, therefore Bhairavi is present everywhere. Bhairavi has many forms at her disposal, more so than any other Mahavidya. She is a multifaceted and complete goddess who is not limited to being the embodiment of destruction. In the guise of her many forms she grants blessings. She grants food. She gives riches. She Who Grants Every Perfection. She Destroys All Fears. She Gives Awakened Consciousness. She Who is Present in Creation and Engenders Growth. She Kindles Sexual Desire and Grants Sexual Satisfaction. In one of her mantras, it says she is intoxicated with her youth, is very attractive, young and shapely. Her association with sexual desire and fulfillment is expressed frequently – She Who Dwells in the Yoni. Her flower arrows are used to empower devotees in the arts of love. Each of the flower arrows produces an intoxicating emotion of love and desire: i.e. excessive agitation, a melting sensation, an irresistible attraction to another, and stupefaction. Worship of Bhairavi is rare given her particularly fierce nature. Only those of heroic nature dare worship Bhairavi. Hers is the left hand path, and the only other goddess to be so worshiped is Mirita. Only those with the nature of the hero are qualified to undertake the left handed path. The inner meaning of her name Bhairavi; is to create, to protect, to emit. Therefore she is directly identified to the cosmic functions of creation, maintenance, and destruction. 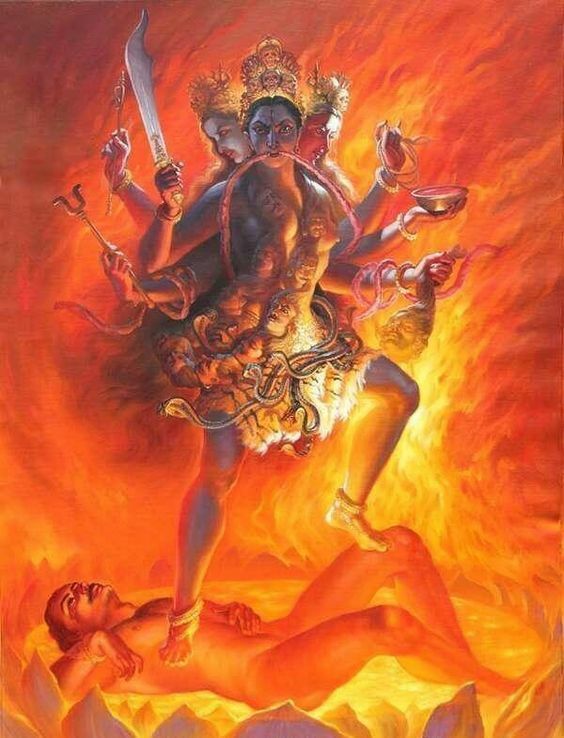 Her consort, from a cosmic perspective, is Bhairava; an equally ferocious aspect of Shiva. One of her primary instructions is Release from Pretending. She delivers a lucid message aimed at shattering the social construct of pretending. Before I reveal her method of instruction, I define pretending and offer a couple of examples to ponder. There are numerous secret esoteric teachings that revolve around female Goddess deities in the Tibetan Buddhist Tantra tradition. Deep within the core of this tradition, the ‘holy’ Lla-mas (feminine mother) practice these teachings and engage with the diamond sky dakinis. But they do not openly discuss or reveal the simplicity of their primary source of wisdom. This is because they are rooted in a carefully crafted patriarchal structure established centuries ago. The majority of secret Tibetan Buddhist instruction is cloaked in a morass of technical jargon and tedious practice. One larger-than-life leader found within the Tibetan Buddhist hierarchy is the Dalai Llama, a world class pretender. “Although universally presented as a paragon of human rights, tolerance, democratic values and peace, the true story of the Dalai Lama and the Tibetan separatists is rarely discussed in the mainstream media. Buddhism was introduced into Tibet in 640 AD when Srongstan Gampo married a Chinese Buddhist wife. In the 13th century the Mongol Emperor Kubla Khan created the title of Grand Lama for the puppet ruler of Tibet. The title “Dalai Llama” was first given to Soman Gyatso, a monk of the Gelugpa (yellow hat) school of Tibet, by the ruler of Mongolia, Altan Khan, in 1578. The word “dalai” is a Mongolian translation of Soman Gyatso’s name which in Tibetan means ‘ocean of merit’. Although recent Hollywood films and popular culture in general tend to present Lamaist Tibet as an idyllic Shangri-la, the reality was quite the opposite. The Tibetan Lama theocracy was arguably one of the cruelest despotic kingdoms in the history of humanity. The monastic Lama class ruled over a majority of serfs whose living conditions were often worse than those of caged animals. The Dalai Llama was born into this elite class of Lamas, and as a child was forced into exile, eventually landing in India. This was the beginning of the liberation of the low caste serfs from the elite Lama rule in Tibet. Once the Dalai Llama and his handlers had been exiled, celebrations followed in Lhassa as the title deeds of the manorial lords were burned in bonfires. The freed Tibetan serfs received title deeds to land, cattle and tools for farming. One final thought on the Dalai Llama; I have seen him speak live at a function in Los Angeles, I have watched many of his interviews. In the past, I have always enjoyed watching his innocent, lighthearted commentary on life and Buddhism; but knowing what I know now… my perspective has changed. His Holiness the Dalia Llama is being used here as an example of pretending because of the historical significance of the corrupt Tibetan Llama rule over the ages and his role as a their defacto leader. Question: Is Tibet freer now than it was before Chinese occupation? One indisputable fact is clear: the serfs in Tibet were living in complete oppression by the ruling class Llamas. The same Llamas who named Tenzin Gyatso as the 14th Dalia Llama. Another fact: The Dalai Lama was the biggest serf owner in Tibet. Legally, he owned the whole country and everyone in it. In practice, his family directly controlled 27 manors, 36 pastures, 6,170 field serfs and 102 house slaves. Bernie Sanders: Looking for a Few Gullible Pretenders. When I gazed deeper into Bernie’s full support of Hillary at the end of the 2016 election, I realized why I could never resonate with this political hack. It all made sense as I watched him command his followers to pretend that Hillary was qualified to be President. This betrayal infuriated a large segment of his following who knew Hillary’s criminal background, who knew about her pay-to-play Corrupt Clinton Foundation, and upon principle alone, would never vote for her. One glaring example of Bernie’s deception was captured on a hot mic at one of his ‘Vote Hillary’ rallies, as he was getting booed off the stage, where his wife slithers onto the platform and informs him ‘they don’t know your name is being put in nomination here [@ DNC].’ He nods his head and remains silent. In this revealing moment he knows he will not inform his supporters that his name is on call for nomination, and yes in fact, his name WILL be on the ballot at the DNC. His silence speaks volumes. Proof he was All-In for Hillary. Jon Rappaport’s colorful reportage further exposes Bernie’s classic burn: “As a last gasp, Bernie tried to insert a plank in the Democratic platform opposing the TPP, another hideous globalist trade treaty. And he failed. That would have been a good time to revolt and bolt and take a stand against the party and go back to being an Independent—but it didn’t happen. Bernie ate the poison pill. Whether it’s Bernie or the Dalai Llama or family or friends, the mirror is there for all to see. Release from pretending allows for an honest engagement with the world. It demands a sober examination of our beliefs and thought patterns that drive behavior. Pretending is used as a device for holding back the truth. Release it. Insights on Tantra Mother and the Source of Her Instruction. How this unique instruction manifests is simple – it is sourced from within the psyche of the human animal. The planetary animal mother teaches through various feminine archetypes and they instruct via the subconscious mind-body stream. Anyone can perceive her instruction. It’s a simple frequency setting that one can tune into. How to Release: Release can happen at any time. In meditation practice, with deep respect and reverence, call in Tantra Mother. She will hear you. Reflect on what release from pretending means. Recognize the existential nature of the instruction. Releasing from inauthentic behavior is a courageous endeavor. It is a process of distillation into the essence of truth… the truth of being a genuine human. Living in release reveals the true nature behind the mask of the roles people play. When this release is felt and understood, there is no longer a tolerance for disingenuous behavior. Phony relationships dissolve. Inner conflicts resolve. Social mores evolve. In celebration of release, awakened men and women take a stand and face all pretenders with eyes open… fearless. Related Update: Observe the blueprint used for seeing through the pretender constructs and their carefully crafted social chaos by studying the psy-op. Amazing Art Credit – Sergey Rytov – Flying Dakini. Sacred healing mantra from Stuart Wilde. Avalon protection prayer – it calls you into a dimension of Gaia and the nature spirits, and it takes you to the lake of Avalon, which is a real place here on earth; the haunting sounds create a celestial canopy of protection for you. If you play it every day as a meditation, the power builds over time. This was created by Stuart Wilde and Richard Tyler. Nikola Tesla – Inventor and genius, once said, “If you only knew the magnificence of the 3, 6 and 9, then you would hold a key to the universe”. The 3, 6, and 9 are the fundamental root vibrations of the Solfeggio frequencies.